New York is considered home to the first brewery in North America, started in 1612 on the island of Manhattan, 176 years before New York became the 11th state. Since the opening of that first brewery, New York has maintained a rich history with beer and brewing, leading the way into the largest tasting of this project so far. New York is home to the Hudson River. As essential today as it was hundreds of years ago, The Hudson River was a major influence in the settlement of New York. By providing easily navigable routes to the northern fur trading industry, the first trading posts, which eventually became cities, grew up on the banks of this mighty river. Originally there were three major settlements. Of these, New Amsterdam (New York City) and Beverwijck (Albany) are the most well known today. The third settlement, Kingston, became the first capital of New York in 1777, as it was considered safer from the advancing British who already occupied New York City, and were threatening to attack Albany. Unlike the shortened duration of the government seat in Kingston (The British invaded a few months later and burned the city), the cities brewing history has endured. With the first known brewery opening in 1667, Kingston still maintains a connection with brewing today, and that connection is the seat of our tasting this week. One of the fun parts of this project is the social aspect. Getting to share in the experience of the beer on a weekly basis helps to provide momentum and encouragement. So, when New York was on the horizon, I reached out to some good friends that live in New York, asking them to come and join us for this patriotic endeavor. Not only did they jump at the chance of a long overdue visit, they contributed to the cause, bringing along three different styles of beer from Keegan Ales in Kingston New York. Not wanting to hog all the fun, I sent out a message to other friends to come and join us on this celebration of New York Beer. All attendees were presented with one request, if they brought a beer that was brewed in New York, I would provide some excellent homemade pulled pork to help wash it down. The convergence of these events set the stage for an epic beer tasting event. Hosting a beer tasting is an interesting task. When assembling a group of friends, you are guaranteed to have a wide variety of tastes and preferences. To make the event enjoyable, and educational for all, I decided to print out rating cards that could be used to help guide the experience. Eleven weeks ago, when I started this journey, I had little knowledge about beer tasting, or the technical aspects of beer beyond just enjoying it. But I have been learning more each week, and one thing I have learned so far was that there are certain characteristics to look for in a beer, and knowing those characteristics goes a long way towards beer appreciation. So I wanted to provide each guest with a card to help establish a vocabulary that they could use to communicate with the other guests. By sharing experiences like mouth feel, and carbonation level, everyone was able to describe what they did and did not like about all the beer sampled. So what was all the beer sampled? That is what sort of turned this gathering of friends into an epic event. 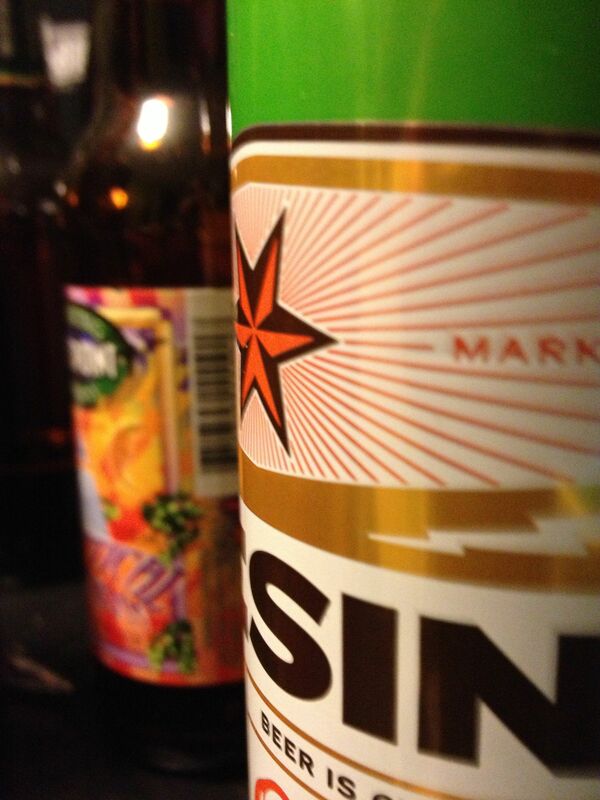 As has been chronicled here, it is not always easy to come upon beer from different states. And I have learned first hand that entering a store with a goal A beer brewed in New York, requires either a knowledgable staff, or plenty of time to peruse the shelves. New York has a few well known craft breweries. Brooklyn and Ommegang quickly come to mind, and they each have a few different selections in local stores, so I was expecting, 10, maybe 12 different beers to arrive, with many duplicates. So imagine my surprise when we finished the evening with 21 different beer selections sampled (22 if you count the Black IPA the night prior). Twenty Two. That is an impressive number. Just last week, I highlighted how 35 different beers have been sampled in the first 10 weeks. Now in one evening, more than half of that number was reached. The details of the evening are still getting compiled, and will be a part of a second post, however the first New York beer of the week will get covered here. This is a black I.P.A (Get it? Black Eye P.A.) that first hits you with a big floral hop aroma that really invites you in. Upon tasting this beer, the chocolate malty flavor overtones take over the forefront of the pallet. It then returns to you and finishes with a traditionally big I.P.A. hop character. 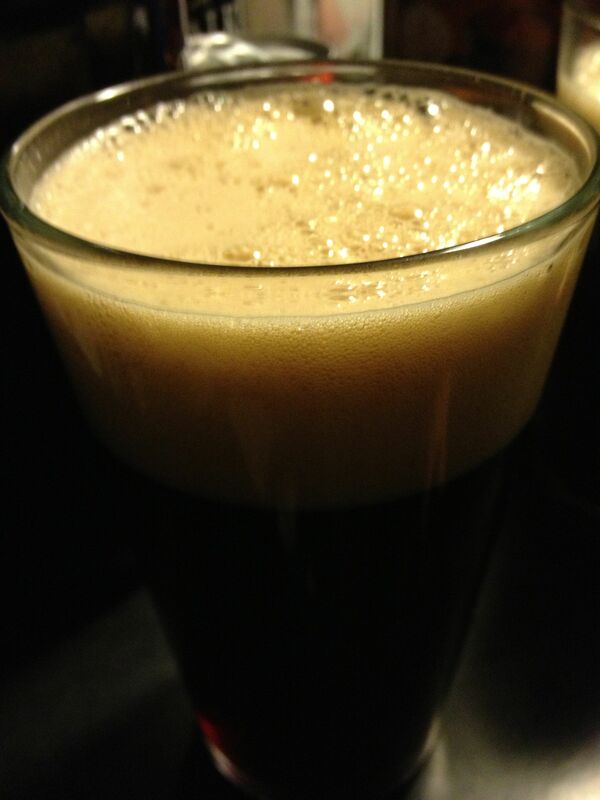 The first black IPA to make the tasting this year, this beer was an excellent representation of the style. This beer was dark like a stout, with a beautiful head. This combination, along with the hopiness of a traditional IPA made this beer an enjoyable drink. This beer was excellent, and started the weekend in the right direction. Look for a part two post some time this week, after I review everyones notes.